Ellie Mae, Inc. is the company behind Encompass loan origination software. In addition to providing closing solutions, Ellie Mae provides solutions for mortgage bankers and mortgage brokers. 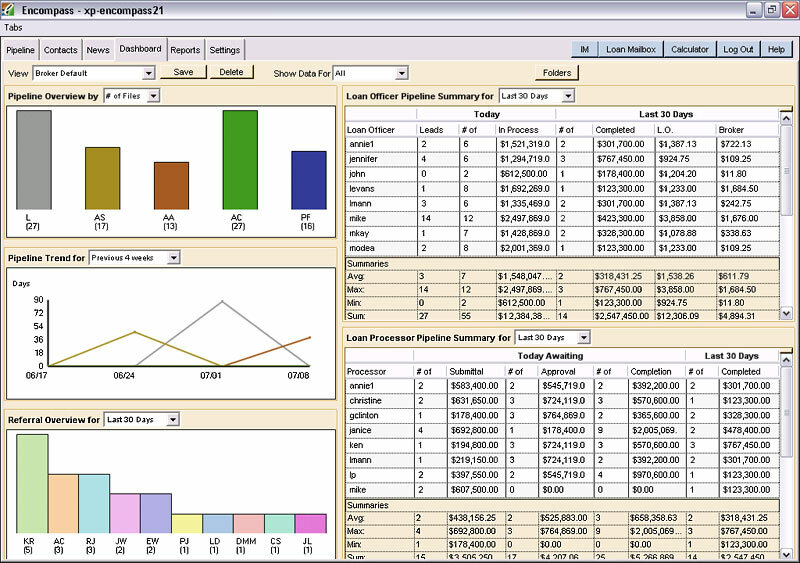 Encompass is a hosted service, otherwise known as SaaS or software as a service, users connect to the web to use Encompass with no need to download and install software. Ellie Mae was founded to leverage the power of the Internet for mortgage brokers and originators. Our unifying mission is to empower the people who traditionally originate mortgages with the most effective technology support available today—enabling them to compete successfully with Internet mass-marketing alliances and direct-to-consumer lender websites. Ellie Mae does not offer product pricing on their website.